Though we’re barely a week into August, some signs of fall have started to appear in western Colorado. 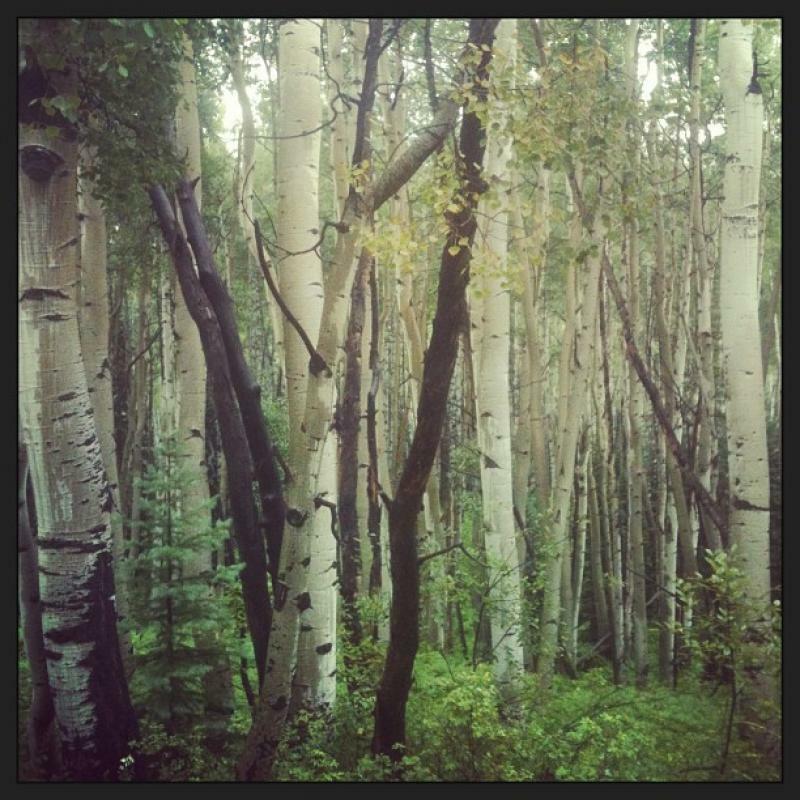 On iSeeChange at the Almanac last week, Patty Kaech-Feder noticed some Aspen trees along Kebler Pass had already started turning yellow. Patty lived in Crested Butte for twenty years before moving to Paonia last year. William Anderegg, a researcher at Stanford University, says any changes in leaf color this early is probably driven by stress rather than regular seasonal changes. Anderegg studies the future of forests in the U.S. Born in southwestern Colorado, he’s particularly concerned with the impacts of drought, insects and wildfire on Aspen trees. He says the early yellowing Patty noticed may indeed be unusual. In a normal year, leaves start changing colors due to colder nights and morning frosts, but in drier years like this one, those changes can mean leaves are simply worn out. Patty says she's also noticed changes in the wildflowers. This year, they showed up early and suddenly, all of them blooming at once. “It just seems like there is a shift,” she says. Anderegg says this seemingly-earlier start to fall – earlier wildflowers, colder nights and yellow leaves in August - is most likely linked to the past couple years of drought. “This is really what we can think of as a drought of the future, a climate change-type drought,” he says. According to Anderegg, the changes Patty’s noticed are part of a bigger climate shift across the West, where early snowpack runoff in the spring and the hot, dry beginnings of summer are causing droughts to kick in earlier, and spread faster. Anderegg and his colleagues are trying to predict that future by studying the current drought in detail. They created an online database similar to iSeeChange called the Drought Open-Source Ecology Project, where scientists and citizens can observe and measure drought effects in their own backyards. Anderegg hopes this kind of on-the-ground, real-time monitoring will help scientists better understand just how concerned we should be for the future of the western landscape. According to the National Oceanic and Atmospheric Administration, May 2013 was the third-warmest May on record for the planet, and the earth's temperature has been above its 20th century average for 339 straight months - more than 28 years. Hugh Carson has been fighting fires for more than 40 years, and although he’s retired now, he was in the thick of things last year when he coordinated aircraft to battle the High Park Fire near Fort Collins. Over the years, he’s seen some changes. iSeeChange: Do Warmer Temps Equal Earlier Sunflowers? 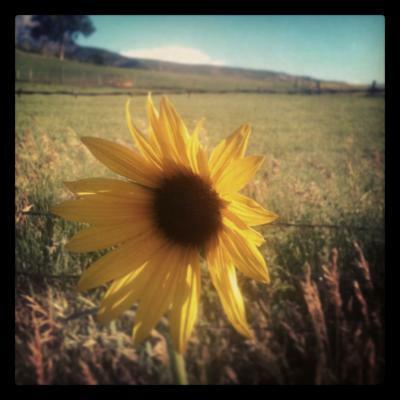 Last week, users on the Almanac reported seeing the summer's first sunflowers. One user was surprised to see the flowers were blooming already. University of Maryland Biology Professor David Inouye says the early blooming season probably has to do with the warmer weather as of late. Inouye spends his summers studying flowers at the Rocky Mountain Biological Laboratory near Crested Butte. His current project involves looking at how the timing of flowering and abundance of flowering at changing.